Today we had a doctor's appointment (sore throat, nothing serious) and while in the waiting room we picked up Supermarket Zoo to read. Oh how we love a new book! And in continuing with our week of World Book Day activities it's perfect that we found a new book that we loved and that inspired us to play. So, after reading Supermarket Zoo we came home and went shopping for animals! We wrote a list of all the animals that we had to buy, and then picked them all up and put them in our basket. Ethan loved choosing the animals, I read the list and pointed to the animal and then he picked it up and put it in the basket. He especially liked dumping them out at the end, and then doing it all over again! 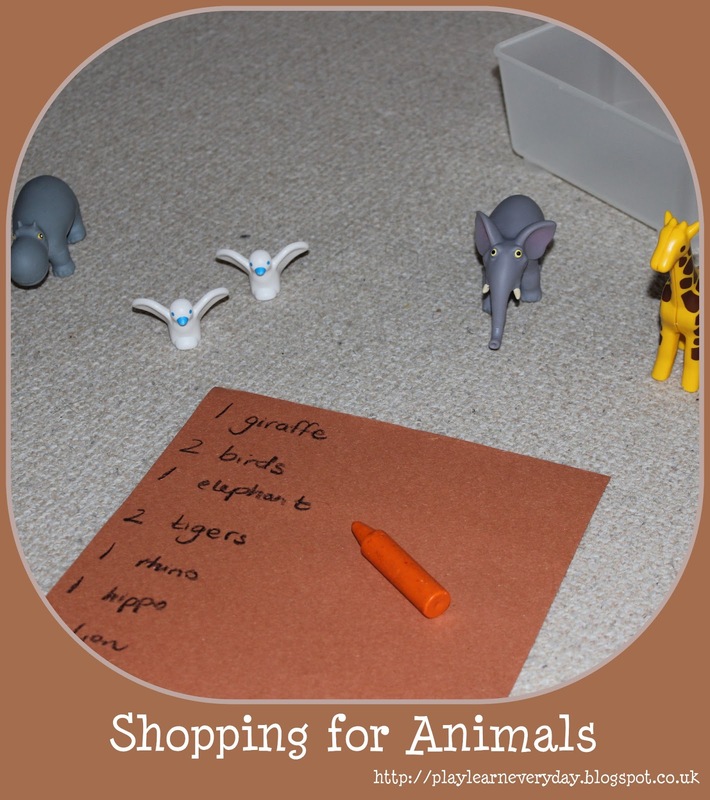 Another great story led activity for his Communication, Language and Literacy development.